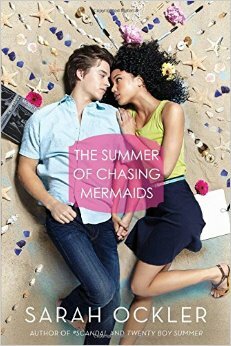 And again, my partner in crime Desley delivers another great cover to inspire you to join the next ‘Cover Makeover’ challenge! While I’m on vacations, she’s running the challenge and delivering a fabulous cover this week!! Check it out! Thanks to all last week’s participants!! I loved what you did. And here we go for week 3. We’re doing a book again this week. Lucile sent me a little selection of romance novels to choose from and the title of this one really grabbed my attention. It sounds super cute. 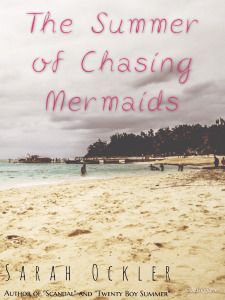 It’s The Summer of Chasing Mermaids and here is a very brief excerpt from the author Sarah Ockler: The youngest of six talented sisters, Elyse d’Abreau was destined for stardom—until a boating accident took everything from her. Now, the most beautiful singer in Tobago can’t sing. She can’t even speak.